February Happenings in the Gardens! Have you read the latest issue of Signature City? The winter 2019 issue is now available. 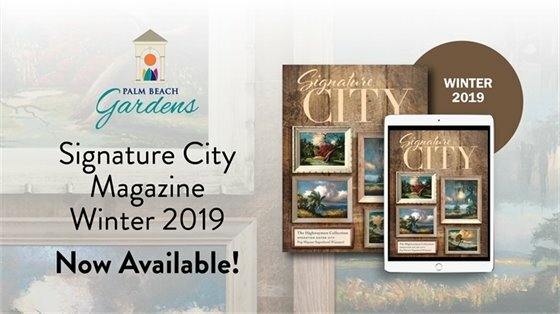 Signature City Magazine is a free publication produced quarterly by the City of Palm Beach Gardens Public Media Relations Division and is mailed to every household in Palm Beach Gardens, as well as distributed at city facilities. 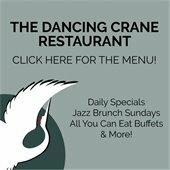 Don't miss out on the latest in City news, projects and events! 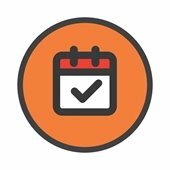 City Council Meeting: What's on the agenda? The next City Council meeting will be Thursday, February 7th at 7:00 pm in the Council Chambers located at Palm Beach Gardens City Hall, 10500 North Military Trail. Want to know what's on the agenda? For the latest City Council agenda, click here. All City Council Meetings are broadcast online via LiveStream. Palm Beach Gardens Recreation will host their first ever Health & Wellness Fair on Saturday, February 23rd! This event will have something for everyone, including wellness demonstrations, screenings, nutrition tips, healthy food trucks & professionals in the health, medical & wellness fields. 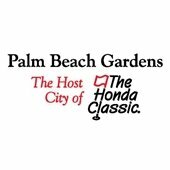 Since 2005, Palm Beach Gardens has served as the Host City of the Honda Classic. This year, this internationally followed golf tournament will take place Monday, February 25th thru Sunday, March 3rd. For more information on The Honda Classic, click here. 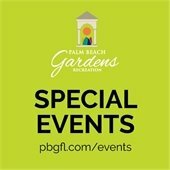 A general election will be held on Tuesday, March 12th between the hours of 7:00 a.m. and 7:00 p.m.
For more information, please visit the City’s website at www.pbgfl.com/Election. Copyright 2018 City of Palm Beach Gardens. All Rights Reserved.